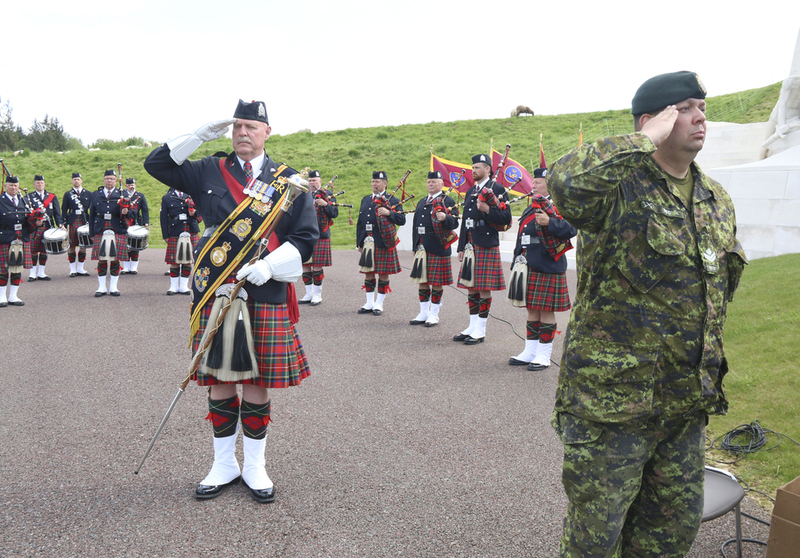 Madame Clarkson became the third Colonel-in-Chief of Princess Patricia’s Canadian Light Infantry (PPCLI) on 17 March 2007 -- the first Canadian to be Colonel-in-Chief of a Canadian regiment. She was appointed as the Patron of the PPCLI Foundation on 31 August 2007. During her time as Governor General, Madame Clarkson visited and inspired troops in Kosovo, the Persian Gulf and Afghanistan and moved and educated Canadians with her tributes to the Unknown Soldier and Canada’s war veterans. Particularly memorable was her role in comforting the nation and the families of the four soldiers killed in the tragic “friendly fire” incident in April 2002. She demonstrated her commitment to the families of Canadian soldiers by traveling to Germany to visit with the wounded and attending memorial ceremonies for soldiers killed in action. Her husband, John Ralston Saul, is the son of Colonel William John Saul, a veteran of World War Two who participated in the D-Day invasion and later served as an officer in the PPCLI.